Mom and World Belly Butter With Mango And Cocoa Butter provide the much-needed nourishment for your belly skin during and after pregnancy. 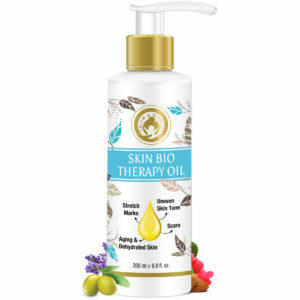 It contains rich and luxurious blend of nature’s most nourishing cold-pressed oils and extracts to keep your skin supple and smooth as your belly stretches with every trimester of pregnancy. Even after pregnancy, this belly butter nourishes the loose skin and keeps it hydrated as it regains firmness naturally. 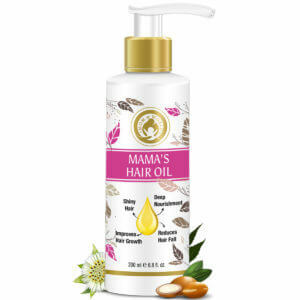 The organic and soothing qualities of this product make it a Mommy Must-Have. 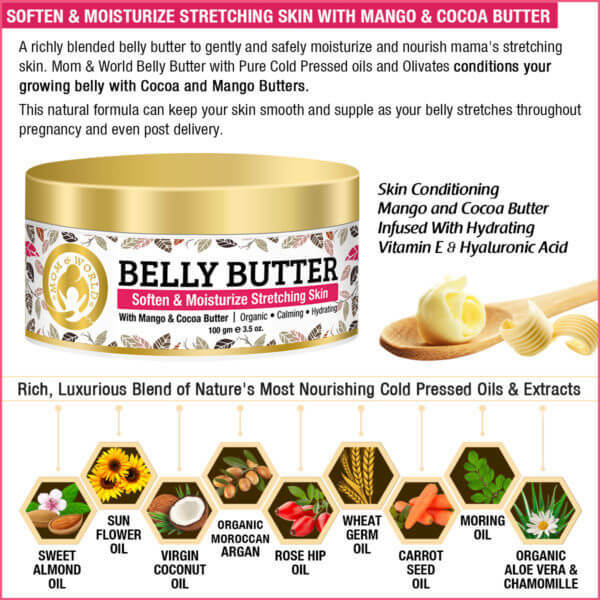 The answer to how Mom and World BELLY BUTTER WITH MANGO AND COCOA BUTTER provides these pre-natal and post-natal benefits to the belly skin lies in the unique combination of ingredients used in this product. The ingredients of Mom And World Belly Butter work in tandem to bring you the best benefits for a smooth and healthy belly skin during and after pregnancy. Each ingredient has scientific backing to prove its worth. Mango Butter is extracted from the fruit mango and is effective in repairing dry and damaged skin. According to scientific research, Mango Butter not just restores the natural protective skin barrier but also repairs cracked skin , making it a potent ingredient in Mom And World Belly Butter to moisturize belly skin and discourage stretch marks in pregnant women. In another study, Cocoa polyphenols (types of antioxidants in cocoa) were found to improve skin elasticity and skin tone. Is Mom and World Belly Butter Safe For Both Mom and Baby? Yes, Mom and World Belly Butter is safe for both mom and baby. 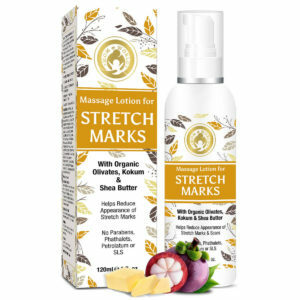 It contains no paraben, sulfate, petrolatum, phthalates, sulfate or mineral oil. It is organic, calming and hydrating. It is a smart choice for women during and after pregnancy. 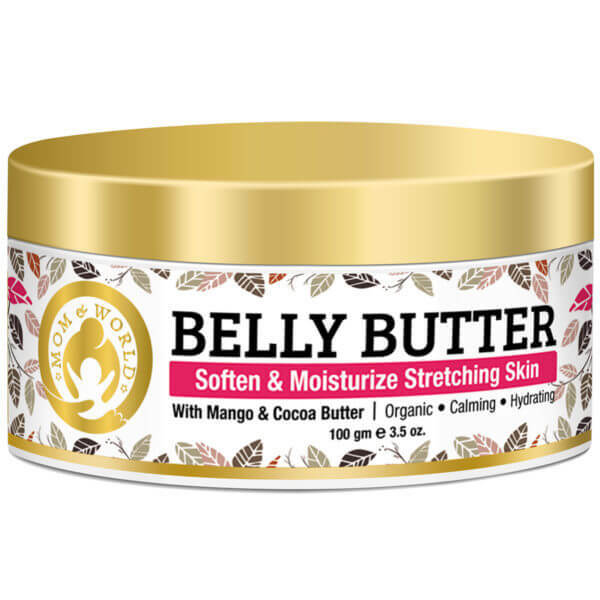 Gently rub Mom and World Belly Butter on the stretching skin of your belly, hips, thighs or breasts. For best results, apply the belly butter twice a day, preferably at morning and night. Each container of this product has 100gm of belly butter, and because of its rich and creamy texture, a little of it goes a long way. This is an excellent moisturizing cream for the belly skin. It has a nice thick butter-like consistency that keeps the skin hydrated throughout the day. Belly skin is looking good. The dryness and occasional itching have subsided after applying this belly butter. It is an excellent moisturizing butter that is helping skin regain its texture and appearance.